There’s yet another massive Battle Star hidden on Fortnite’s island, and you’ll need to find a map in Retail Row to kick off your treasure hunt. The Retail Row Treasure Map is part of Fortnite’s Week 7 Challenges, which once again hand out extra Battle Stars and XP upon completion. Where’s the Retail Row treasure map? 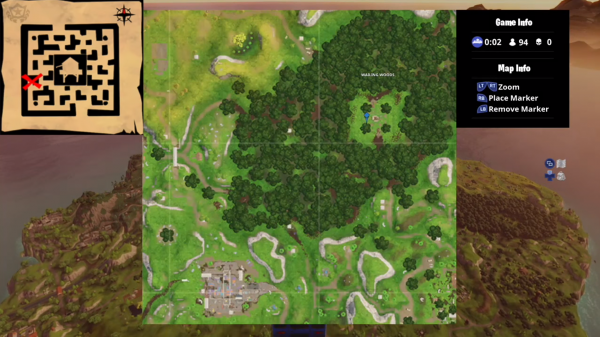 From that simple map you can see the spot you’re looking for is clearly located in the Wailing Woods. 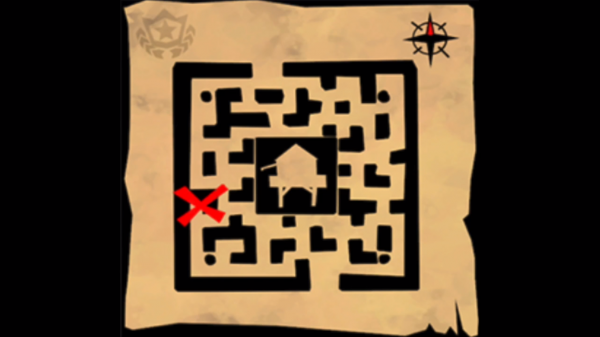 It’s worth remembering that you don’t actually have to find the treasure map in Retail Row at all, you can just head straight to the Wailing Woods. You won’t be able to see it from a distance, however, so make sure you get close. We advise bombing straight down from the battle bus and grabbing it straight away for maximum efficiency. Land straight there and face North – the Battle Star should be straight ahead. Now you’ve found that, you’ll need to complete the Hidden Gnomes challenge. Oh, what’s this? It’s a guide to all the Hidden Gnome locations. No worries. Are you playing Fortnite on mobile? All of these challenges are exactly the same for the iOS version of Fortnite, and support cross-save. So any progress is shared between mobile, consoles and PC. Epic Games also updated the map with Vending Machines so you can trade materials for loot. Here are all Fortnite vending machine locations. Are you sure you’ve completed every other weekly challenge in Season 3? Find a handy list below, so you can knock them off before Fortnite Season 4 begins next week.